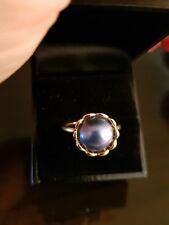 PANDORA | PETITE LUMINOUS LEAVES PEARL RING Size 56. In very good condition. Never worn. Comes with original box. Condition is Pre-Owned. These exquisite earring studs lend crystalline beauty to any look. 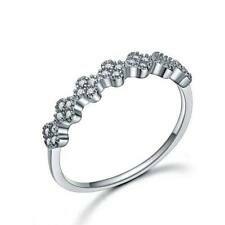 Their delicate stone encrusted shape is inspired by winter blooms glittering with ice crystals. PANDORA SALE! 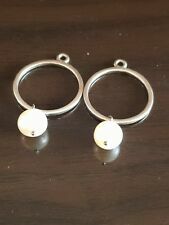 Authentic Pandora Earrings, Hallmarked ALE 925. Retired Pandora 14ct gold earring charms from the Compose collection. 14k gold hoop with dangling blush pink pearl pendants. Pearl Compose Earring Charms. when handing it over to be looked at ?. Hallmarks ?. All our diamonds have been professionally assessed and examined by diamond experts and gemmologists to ensure authenticity. This charm is now discontinued and highly sought after! PANDORA SALE! 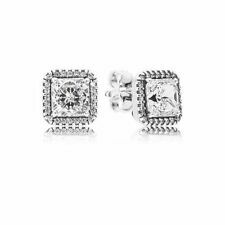 Authentic Pandora Earrings, Hallmarked ALE 925. 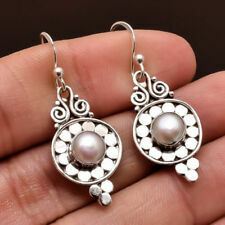 Sterling Silver Elegant Beauty Drop Earrings Studs with Cubic Zirconia and Pearl. RARE RETIRED PANDORA SALE! Authentic Pandora Necklace. Sterling Silver Mystic Floral Pearl Necklace cubic zirconia stone. Mystic Floral. Hallmarks ?. 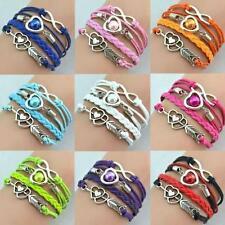 these usually are sold under the title of ?. and will have varying degrees of imperfection which will be fully disclosed. when handing it over to be looked at ?. Other (139). PANDORA | 14K Gold "Pandora's Secret" White Pearl & Diamond Dangle Charm (#750460D). AUTHENTIC, RARE & RETIRED! PANDORA | STERLING SILVER PEARL DANGLE CHARM(#790166P). AUTHENTIC, RARE & RETIRED! #190848P: Forever Bloom/Grand Pearl/Garden Odyssey. PANDORA | Sterling Silver "Forever Bloom" White Pearl & Black Zirconia Ring(#190848P-56). Size 56 (7 1/2 US). 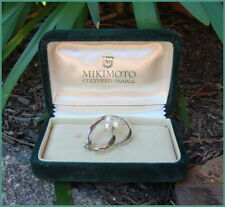 100% Authentic Pandora sterling silver ring, size 56 ( 7.5 US), item # 190865P. Marked: S925 ALE 56. Main Stone PEARL.